Dementia Friendly Ilkley Action group (DFIA) is inviting anyone who cares for, or has previously cared for someone living with dementia, to a monthly support session. 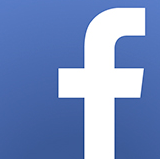 The first informal meeting was on Monday 21 January at 7pm at the Wheatley Arms, Ben Rhydding. Anyone is invited to turn up to discuss, in an informal setting, what they would like from the session, where health care professionals will be also be in attendance. DFIA also run Dementia Friends information sessions, open to all, where you can learn a little bit more about what it’s like to live with dementia, and then turn that knowledge into understanding and actions. The next sessions are Monday 11th March 6pm and Saturday 6 April at 10am, at the Clarke Foley Centre, Ilkley. 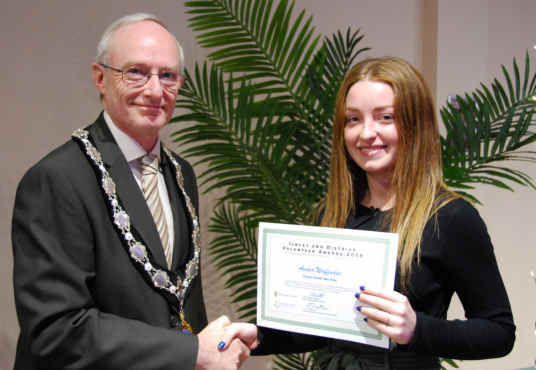 Congratulations to Amber on her Community Award Nomination for her volunteering work with Dementia Friendly Ilkley Action . Although in the middle of an extremely busy GCSE year, since December 2017 Amber has been a valuable link between Ilkley Grammar School and Dementia Friendly Ilkley Action Group. Giving up her time for evening meetings, volunteering helpful suggestions and demonstrating her commitment to her voluntary role in working towards making a difference for people living with Dementia in our Ilkley Community including organising a bun sale which raised valuable funds. 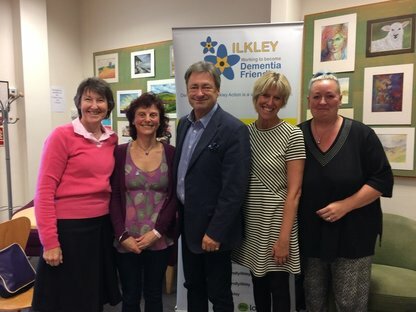 We are a small group of local people working towards making Ilkley a Dementia Friendly community, where those living with dementia can feel confident living here or visiting. Come and join us, so together we can make our community equally welcome for everyone. Are you interested in supporting Dementia Friendly Ilkley? Come along to our next Sessions. There are lots of ways you can Get Support in Ilkley, have a look at our local groups. Have a look at our Events and News to see how you can get involved. Regretfully, The Ilkley Playhouse have said that despite all our best efforts to publicise the 16th March DF Matinee of Spring and Port Wine we have taken the decision to cancel the performance due to poor ticket sales. When Ernest is diagnosed with the condition, he creates a plan to leave a vital imprint of who he is... and chooses Lynne to be the keeper of his memories. Performances are at 4pm and 7pm on Saturday March 9 and at 2pm on Sunday March 10. Tickets cost £4 from Brown's Gallery on Wesley Street or by emailing otleyplayersotley [AT] gmail [DOT] com. A third of ticket sales are being donated to Otley Action for Older People so not only are you getting a great piece of theatre you’re helping the community too. Cranking up the central heating and putting on an extra layer are all part and parcel of dealing with wintry weather. But for someone with dementia, these sort of actions don’t always come naturally. For example, they may struggle with their heating system or even forget how to operate it. Meanwhile, their dressing habits could also be affected – either by a loss of mobility or an inability to work out what clothing might be suitable. Read more of this article on Unforgettable.org. Charlie Phillips won the Outstanding Contribution award at the 2018 Dementia Friendly Awards; a touching video. Making Space provides support, information and guidance for those living with memory loss, confusion or dementia, and for their carers. They get to know you as an individual and recommend the support specific to your needs.